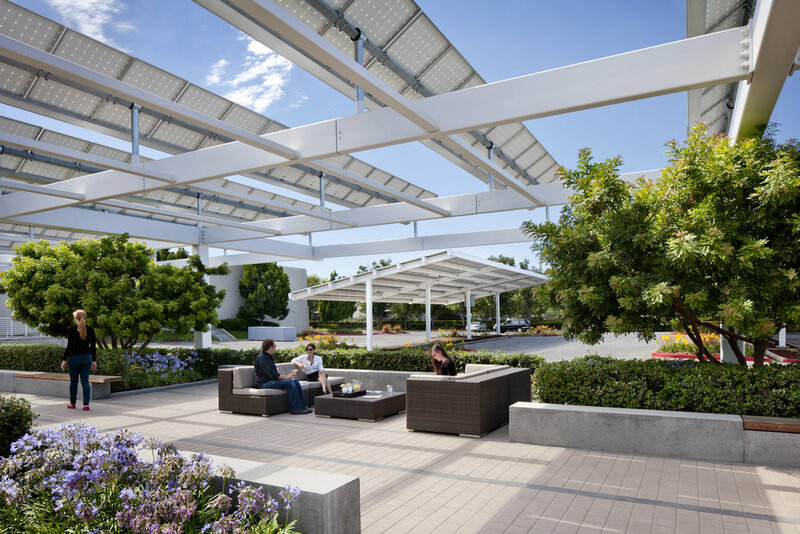 SunPower Headquarters — Valerio Dewalt Train Associates, Inc.
SunPower, a Silicon Valley based manufacturer of high-efficiency solar cells, panels and systems, is a company whose commitment to renewable energy is seen as both a moral obligation and an economic driver. However, it was a commitment that was virtually invisible in their existing workplace. Working on an extremely tight budget and schedule, a campus of three one-story buildings of roughly 186,000 SF was leased. 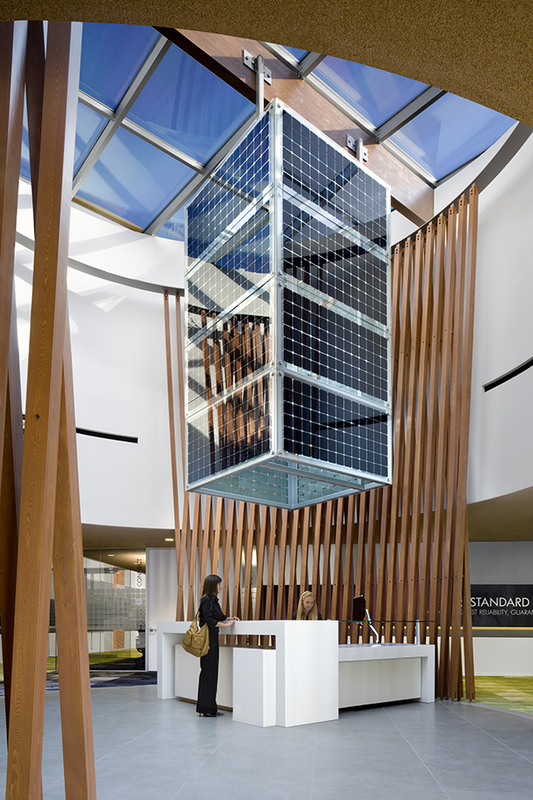 The design assignment was to express the commitment to renewable energy throughout the interior. 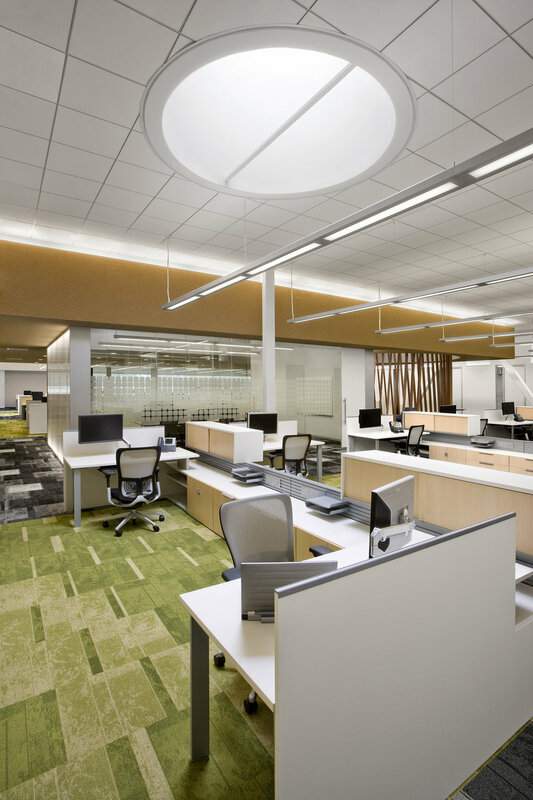 The space consists of open office workspace and collaborative meeting spaces. 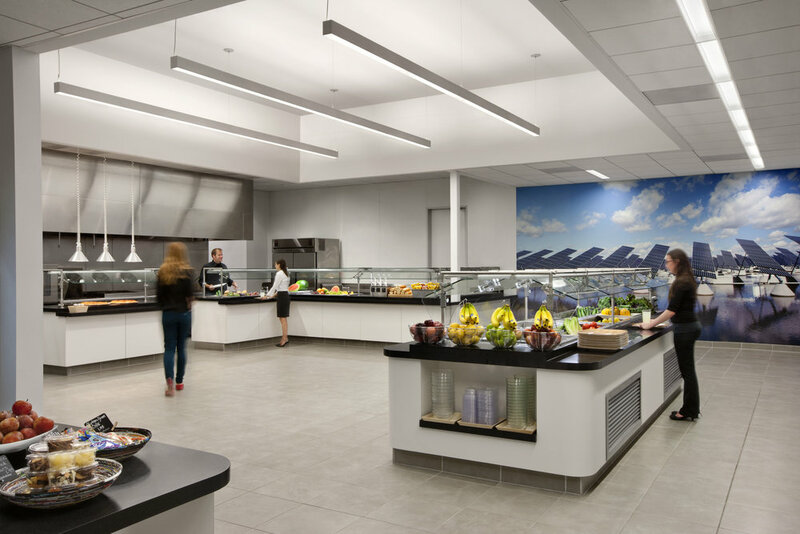 The space visually connects the research and development of SunPower with the open office. 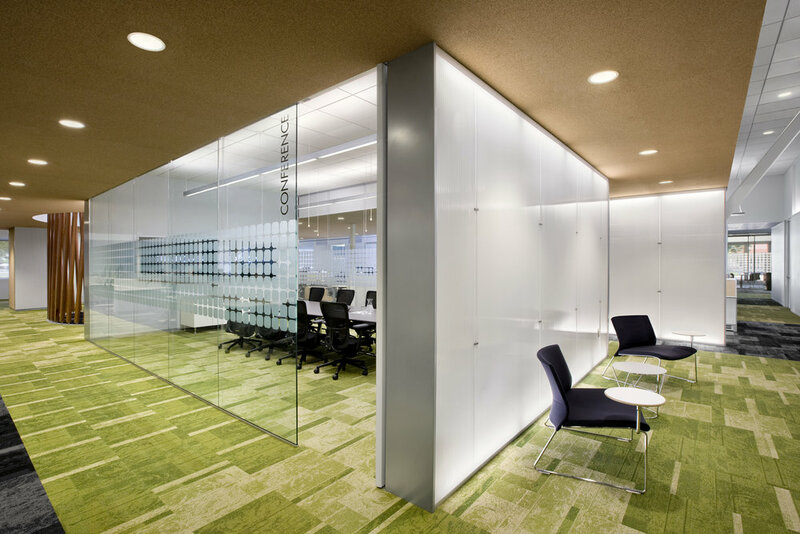 Wall graphics featuring the company’s brand were designed and installed in more than 50 conference rooms, the lobby, several break rooms and training areas. Solar energy is collected from the roof and parking lot which announces the commitment to renewable energy from the exterior.